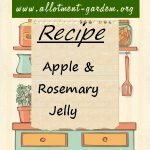 My favourite fruit jelly recipes. 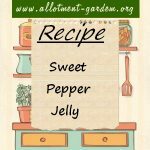 Recipe for Sweet Pepper Jelly. An unusual jelly that is great with cold meats, especially lamb and chicken. Also goes well with prawns and cream cheese. 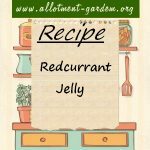 Recipe for Redcurrant Jelly. A traditional accompaniment to Lamb. Currants are high in pectin so there shouldn't be a setting problem. Recipe for Gooseberry Jelly. Another way to use up a seasonal glut of gooseberries in this tasty, easy to make homemade preserve. Recipe for Blackcurrant Jelly. An easy recipe which gives great results! Blackcurrants are loaded with pectin so there shouldn’t be a setting problem. 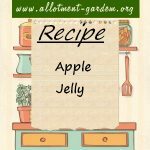 Recipe for Blackberry Jelly. Can be tricky as Blackberries have only medium pectin and acid content at best and the late ones are decidedly lacking in both.